Create a positive candidate experience that will keep applicants coming back for future job openings. The candidate experience for most applicants has become far less personal over the years. An alarming 47% of candidates never receive any communication after submitting their application. Even when applicants won’t be considered for a position, leaving them guessing can mean real consequences for your brand’s employer reputation. Believe it or not, giving each applicant the attention needed to solidify your organization as an employer of choice is easier than you might think. 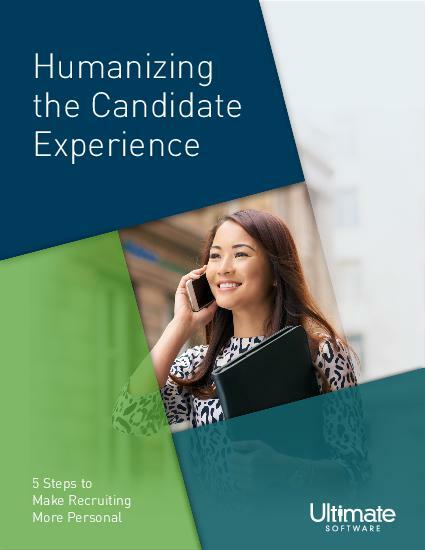 Follow the steps in this guide and you’ll ensure that your candidate experience is a memorable one—for the right reasons.